Learn more about how the various parts of Medicare pay for treatment before, during and after a Lung Transplant. Article written by Danielle K Roberts, co-founder at Boomer Benefits, a licensed insurance agency that helps baby boomers navigate Medicare in 47 states. Lung transplants are complex surgical procedures which can cost an enormous amount of money, sometimes in excess of $1 million. Beneficiaries undergoing a transplant may require extensive inpatient or critical care, multiple surgeries, and extended outpatient medical care during recovery. 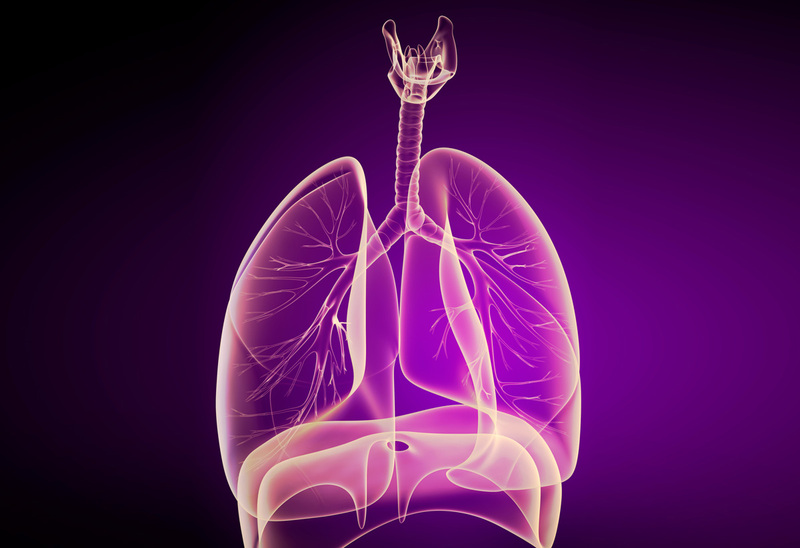 The duration of this care varies greatly and may depend on whether one or two lungs are being replaced. Medicare will partially cover a lung transplant if certain conditions are met. Beneficiaries generally must have a diagnosis of progressive end-stage pulmonary or cardio-pulmonary disease. Your doctor must document medical necessity after all other options have been tried or considered. There must be a documented likelihood that surgery will have a successful outcome. The surgery must also be performed at a certified facility that participates in Medicare’s approved transplant program. Original Medicare is made up of two parts. Part A provides your hospital care. This includes inpatient stays, skilled nursing facilities, some home health care immediately following a hospital stay, blood transfusions and hospice benefits. In transplant surgeries, Part A will cover the procurement of donor organs and the actual surgery itself. Part B covers outpatient medical care. This includes preventive care, doctor visits, lab-work, diagnostic imaging, durable medical equipment, ambulance, emergency care, medical supplies, chemotherapy and many other services. In a lung transplant, Part B will cover your labwork and tests before the surgery and all of your outpatient follow-up care. People who undergo organ transplants will require long-term prescription medications to ensure that your body does not reject the new organ. Part B may cover transplant drug therapy for life if you meet certain criteria. Like most other insurance, Medicare does not cover 100% of your medical expenses. You are responsible for cost-sharing in the form of deductibles, copays, and coinsurance. In 2018, your Part A deductible is $1340. This covers your first 60 consecutive days in the hospital. Should your stay last more than 60 days, you will also begin paying a daily copay. Benefits run out after 150 consecutive days in the hospital. Part A also covers your first 20 days in a skilled nursing facility (SNF). However, you are responsible for a daily copay beginning on Day 21. Benefits in a SNF run out after 100 days. Part B pays for 80% of your outpatient care after you first pay a small annual deductible ($183 in 2018). You will pay the other 20%. As you can imagine, this could be a significant amount of money in the event of a lung transplant. Many Medicare beneficiaries enroll in additional coverage to help them cover these gaps in Medicare. There are Medicare supplement policies which pay after Medicare and help to cover your deductible, copays, and coinsurance. These policies allow you to treat with any doctor or transplant program accepting Medicare. In most states, there are 10 standardized Medigap plans to choose from. Beneficiaries can choose full-coverage plans like Plan F or plans with slightly less coverage for lower premiums, like Plan N.
Another option for covering the gaps are Medicare Advantage plans or Part C plans. These are private plans which pay instead of Medicare. Members access their benefits through the plan’s network of participating providers. Many Advantage plans require prior authorizations and referrals, so check your plan’s Evidence of Coverage for more information if you are enrolled in a Medicare Advantage plan. Drugs that are not covered by Medicare Part B may be covered by Medicare Part D. Part D is voluntary coverage that helps to pay for retail outpatient prescription drugs. These policies are sold by private insurance companies. Each company has its own set of covered medications. However, there are certain classes of drugs, including immunosuppressants, which must be covered by all plans per Medicare rules. Although enrollment is voluntary, Medicare will assess a late penalty if you fail to enroll in Part D without having other creditable drug coverage. You can also enroll only during certain times of the year, which means you could be uncovered for several months if you develop a new health condition requiring a new medication mid-year. It’s wise to enroll in Part D when your first become eligible for Medicare so that you can hopefully avoid experiencing uncovered medications. While a lung transplant is very expensive, qualifying Medicare beneficiaries can get significant financial assistance when enrolled in Medicare and a suitable supplemental policy. I had been hospitalized for 4 years in a row all in the same month march, for shortness of breath. They thought it was asthma. The last time which was this year, they hospitalized me for a week. Which they ran lots of test and determined I have COPD. The symptoms I had were shortness of breath, tired, and coughing.There has been little if any progress in finding a cure or reliable treatment. I was seeking something to help regain my life to be able to do things for myself. Through my primary physician i learnt about a COPD disease herbal formula from NATURAL HERBAL GARDENS and their success rate with the treatment, i immediately started on the COPD disease herbal protocol, I am glad to report the herbal formula worked effectively and there was no side effects, I had a total decline in symptoms, the Chest tightness, shortness of breath and other symptoms stopped, my COPD disease is totally REVERSED, Here is a link to the website we ordered from ww w . naturalherbalgardens . com This Herbal Protocol is Incredible!! Good luck to each and every one of that’s trying this herbal formula.